A confidential therapy service offering a FREE initial consultation in a comfortable dedicated room setting. Counselling for couples and families. 1, The decision is based upon wanting to talk openly and stay together. 2,There is an acknowledgement that help is available and that they would like to take up the offer in a confidential setting. 3. You have agreed to ask for help from someone who has studied in an area of expertise that they need to work through. 4. The opportunity to work through this openly and experience healing and positive change is being embraced. 5. Soon the couple / family will start to peel away the layers of their life together and find that love is underneath. If you are struggling take a look on counselling directory or psychology today for a counsellor within your area who can help and support your emotional issues. So as we enter the exam period whether this is SATs, GCSEs, retakes or getting ready for A levels. Whichever the exam that you are taking, for some they can bring on stress, anxiety and worry. Some people just happily sail through their tests and exams without a care or worry and that is amazing. However for others they really do struggle with their exams. In our house this week we have the SATs tests for our youngest son. I think we have prepared well, the school have prepared him well and he has prepared well. He seems happy and eager to do them, to get them out of the way. But for him, the main thing is that he is not feeling the pressure, he can only do his best. So day one is done, the monotony has not hit yet and he isn’t fed up or worried yet. Why do we worry so much about these exams which we have studied for? Is it the added pressure that students put upon themselves or that they are put under by teachers and parents? I remember as a student the panic and the worry. Have I revised enough? Will I make my parents proud? Will I achieve as well as my brother? Will I get to where I want to be? And then with all that anxiety came fear. Nobody picked up on this anxiety that I was going through. Nobody noticed that I was not studying properly, couldn’t cope and well just felt like I was sinking. Was it because it was ‘back then’ because my parents didn’t really do exams or just because I went unnoticed? Did I hide it well? Today, in the college that I work in, this time of year in the counselling room is about emotional support, reducing anxiety and listening. Offering strategies and working with the students to reduce their worries. Students are under pressure everywhere, at home, with their peers, in the schooling environment and on social media. They have little escape so it’s teaching them where to escape, how to escape and it is ok to have time to breath. Stop, take a breath, observe, pause and process. We all need to breath and relax even when we are cramming in the study. Our brains can and will only take so much. Go outside and get some fresh air, lie down and watch the clouds, relax to some calming music. Take the pressure off and just calm. Your body and mind will thank you for it. As parents we need to support our children through this time, yes results are important for them but their mental health is so much more important. Observe the changes. Check in with them. I’m OK may not actually mean OK.
Good luck to everyone, stay healthy! Click here for more information about Counsel me. 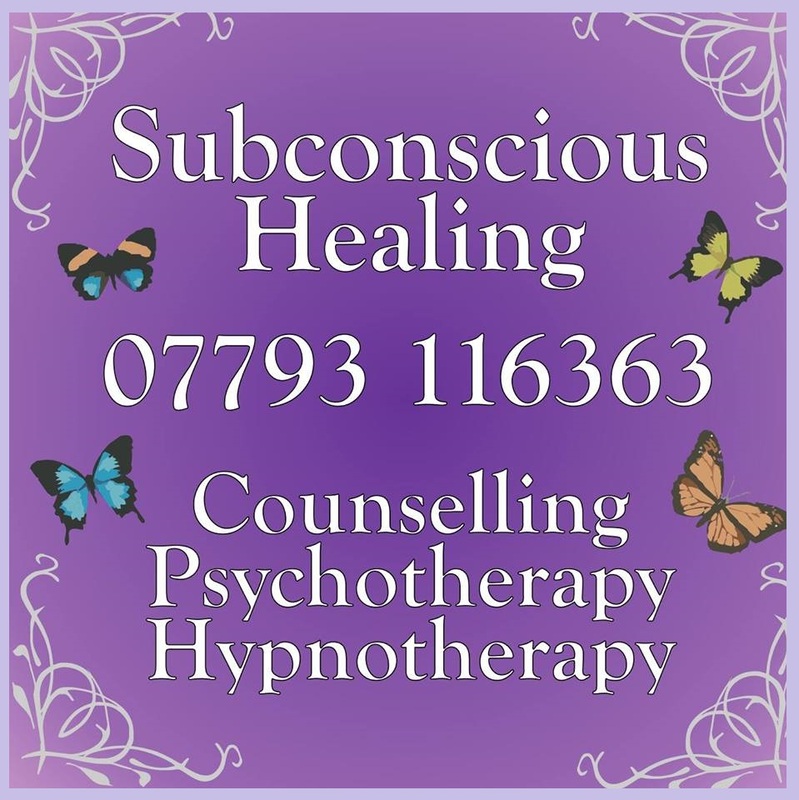 Subconscious Healing has now moved therapy room to number 16 of the same building on 6 Frederick street Wigston LE18 1PJ. As my clients will be well aware I have been looking to move to a different therapy room. I have taken this step with my clients therapy in mind. The reason for this move is that it is in a quieter location of the building and it will be a bigger and cooler room. This room will also benefit family sessions and clients who wish to work more creatively in their sessions. The space is still set out as a comfortable, calm living space as you can see which many clients enjoy. This is all to increase in the comfort and privacy of your counselling sessions. Click the link to find Subconscious Healing.